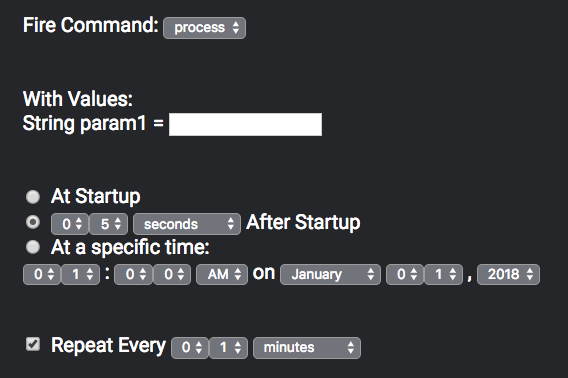 You can easily add timers to controls using the MetaBot, which will automatically register them at startup. You can also add timers dynamically or manually using the App Manager's "timer" command. Timers added this way will NOT persist after a restart.